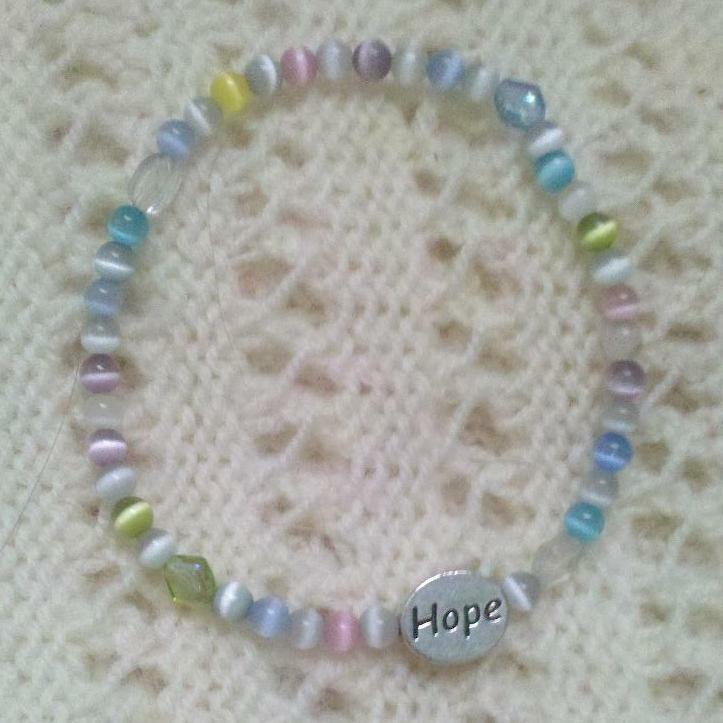 I have come to associate hope very closely with my stillborn daughter. Just hearing the word hope transports me back to the hospital room where I sat a few hours after her birth and first contemplated her name. We knew Halia was her first name, and I couldn't get "Hope" out of my mind but I thought the alliteration would sound silly. I remember clearly saying her name out loud for the first time, assuming that it wouldn't work. Now I wonder how I could have ever doubted it. Halia Hope is her name. Halia was and is a hope, dearly held, unfilled perhaps but embodied fully by her definite presence within me for 21 weeks. In some ways, the Hope in her name seems like a cruel irony. There is no greater example of dashed hopes than my tiny daughter who never took a breath. And sometimes I do feel bitter about that hope. And yet, I am grateful that we put hope in her name. It's an ongoing reminder to find hope in dark places.